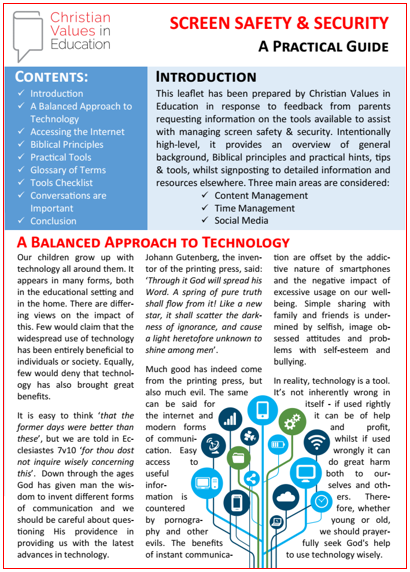 Screen Safety and Security: A Practical Guide – This introductory leaflet provides some background, considers Biblical principles and presents 10 practical tools / strategies for managing screen safety and security. 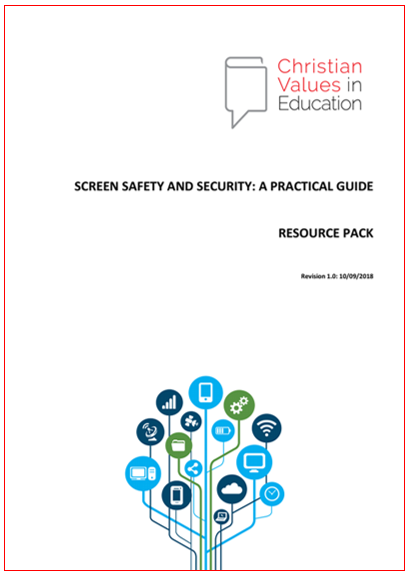 Screen Safety and Security: Resource Pack – Supplements the leaflet, building on the 10 practical tools and providing links to external information, resources, step by step guides etc. for each of them. Both these resources can be downloaded by clicking on the images below. The leaflet Screen Safety and Security: A Practical Guide is also available as a printed leaflet – if you would like copies please contact CViE. A video of this presentation is available here. 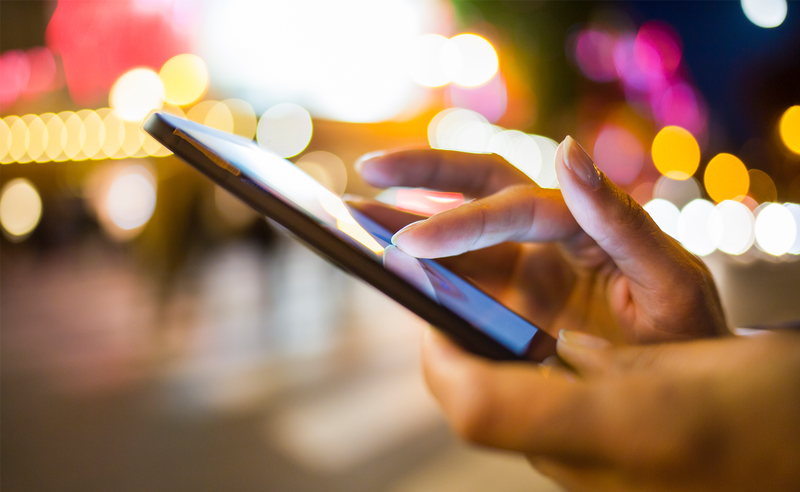 Each of these is considered for different methods of connecting to the internet, for different types of device, for different makes of device and for different software / apps installed on these devices. The aim is to provide a roadmap and signposts to assist parents in making informed decisions. We trust these resources will be useful, but please use them as a starting point for your own research. We are keen to hear your experiences in this area – please get in touch or share them on the CViE forum.